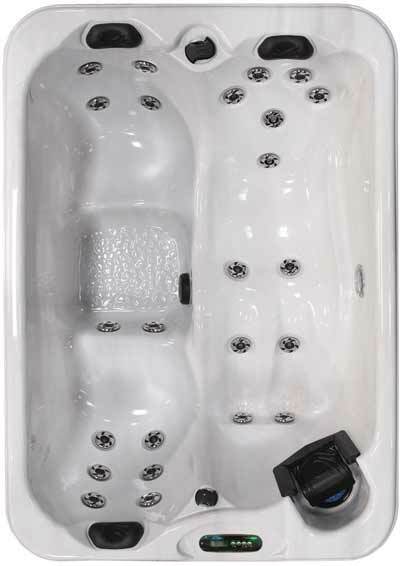 The Z524L is the ideal spa for couples and empty nesters. Its two contoured seats make this spa the perfect conversation spot as two soakers are able to sit across from each other and enjoy each other's company. 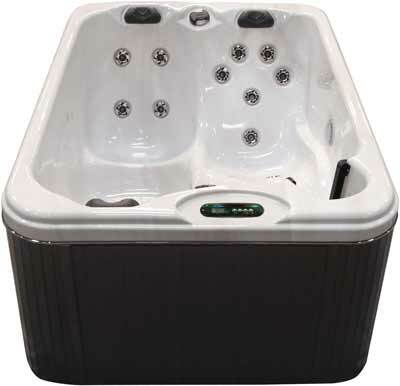 The Z524L spa features a convenient low cabinet height for easy access in and out of the spa. A private soaker can also take advantage of the full-length lounger, which cradles the natural curves of the body and targets key stress areas with its relaxing massage therapy jets – perfect for relieving joint and arthritis pain! Best of all, you will find peace of mind knowing that the spa water is clean and pure with the exclusive Bio-Clean™ filter. Dimensions:54" x 78" x 32"